You will also need a 20cm or 8inch, greased, round cake tin which is double-lined with a baking parchment, a cook’s blowtorch, a star cutter and or Dr.Oetker’s Gold Shimmer Spray. Preparing it at first can be quite a challenge but if you are used to baking then you should not have any problems. Step 1: Put all the dried fruit and port in a large bowl and then leave them to soak overnight. Step 2: Once you are ready to bake your chocolate Christmas cake, pre-heat the oven up to 140 Celsius, or 120C fan, or 275 Fahrenheit, or put the gas mark to number 1. Now, get a medium saucepan and melt the chocolate with the treacle and syrup on it. 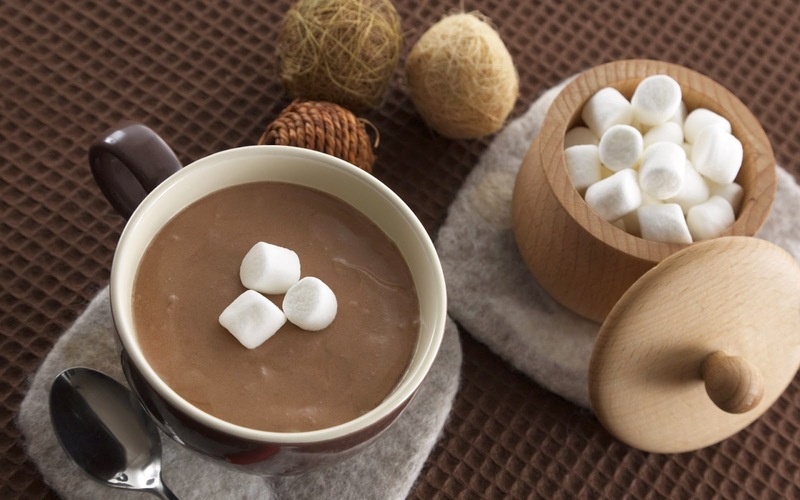 Make sure that the heat you are using to heat the saucepan is just gentle enough so as not to burn the chocolate and to keep it from sticking on the saucepan’s surface. Now, on a separate bowl, stir and mix the flour, the mixed spices, the cinnamon and the baking powder. Step 3: Gently stir the butter and the sugar in a large bowl until they appear light, pale and fluffy. Then beat the eggs and add 1 tablespoon of flour to prevent it from forming curdles. Afterwards, fold in the flour and the spice mix. Step 4: Then, fold in the melted chocolate mix along with the soaked fruits. Smoothen the surface of the prepared tin using a spoon and then put it in the oven for two hours. Make sure that you put it on a low shelf inside the oven. You can also try putting a skewer through the center of the cake coming from the surface and if it comes out clean then it is already good. Step 5: If you want to decorate it make sure that you have all the necessary decorations already prepared. Roll the marzipan on a work surface and lightly sprinkle it with sugar and put icing around 3mm or 1/8 inch thick and cut out a 20cm or 8inch circle. Afterwards, heat the jam in a pan and spread it over the surface of the cake and cover it with the marzipan. But perhaps the best method is to turn the cake upside down on the marzipan then just trim it enough for the cake to fit in. Just smoothen it using a spoon to remove any lump. Use the star cutter to cut out stars as you roll out marzipan trimmings then place the stars around the edge of the chocolate Christmas cake using jam to stick them on the edge of the cake. You can also use the blowtorch on the cake’s surface and the golden spray to make it more artistic. Research and Choosing a Cake Shop: It is important that you take your time in conducting a thorough research when it comes to your wedding cake. And one of the first things that you should be doing is researching online. You can also check wedding sites so you can get real customer feedback as well as from couples you know in real life. The next thing that you should do is visiting the actual bakery and speaks with the staff. It is paramount that you end the day with a visual of the cake, ether in digital form or hand-drawn. Being comfortable with the staff and their suggestions can help you decide on the cake that you want. Take Your Time: This is also another one which you should take into consideration. You cannot rush the cake. It is vital that you give yourself adequate time in deciding what cake and what bakery you would go for. At least three to six months is a good timeframe. 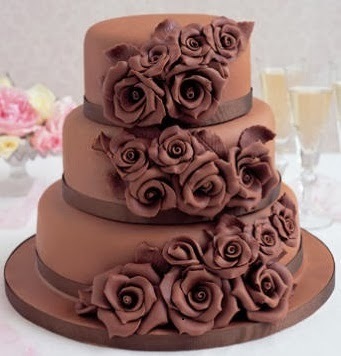 If the color scheme of the wedding is already decided then deciding on a cake is easier. Do so before at least two months before the actual wedding date. The Taste: Always make it a point to taste the cake before the actual cake is ordered. If there are a number of flavors then take the time in tasting all of them. 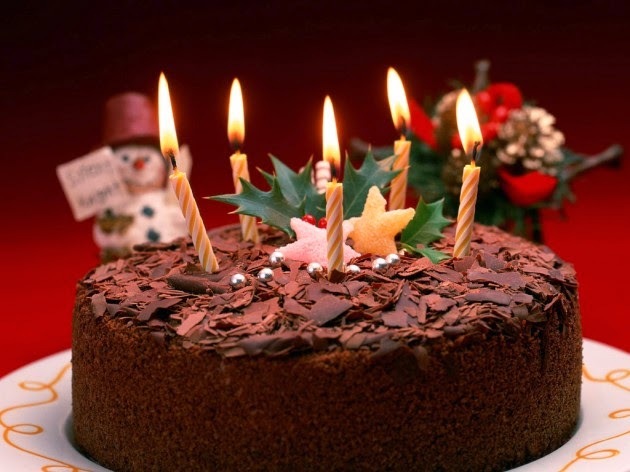 Basic flavors like chocolate and strawberry may change depending on how the cake is made and factors like how it was formulated and frosted are also involved with it. Never ever assume how it would taste. It can be very exciting to prepare for a wedding cake however, it should not be taken lightly and should be given ample time and thought. One way of celebrating the anniversary of your relationship is by preparing a chocolate fruit cake. 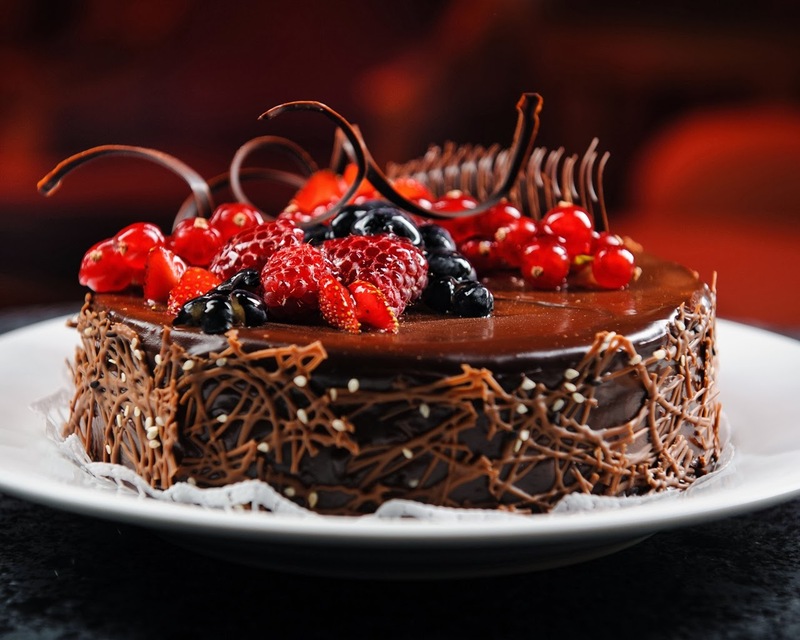 It is important that you follow these steps carefully so that you can create a satisfying chocolate fruit cake that you and your partner will definitely enjoy. Step 1: Pre-heat the oven up to 150 Celsius or 300 Fahrenheit or put it on gas mark number two. Step 2: The next step requires you to line the sides and the bottom of a twenty centimeter or eight inch, nine centimeter and or three and one half inch deep, round loose-bottom cake tin having a layer of reusable silicon baking parchment. When lining the tin with the silicon baking parchment, cut the material into two small strips which are both twice as high as the tin itself. The purpose of these strips is to keep the cake from catching on the outside of the cake tin. Step 3: Afterwards, put the fruit, the butter, the sugar, the honey, the coffee liqueur, the orange juice as well as the zest into a large and wide sauce pan. Also take this opportunity to add the mixed spices and cocoa along with the rest of the ingredients mentioned above. Heat the mixture until you can see signs of it starting to boil. You will know this when you see bubbles appearing and then bursting on the mixture. While doing so, make sure that you stir the mixture until the butter melts. Let the mixture simmer for around ten minutes before removing the saucepan from the heat to let it cool for thirty minutes. Step 4: After thirty minutes, the mixture should have cooled a bit. Once it has cooled up, add the beaten eggs, the flour, the grounded almonds, the baking powder as well as the bicarbonate soda and mix everything using a spatula. Make sure that everything has been mixed well. Step 5: Now, pour the fruit cake mixture carefully on the silicon baking parchment cake tin and then transfer it to the oven and keep it there for around 1 ¾ to 2 hours or until the cake’s surface starts to appear shiny and sticky but is firm to the touch. If you utilize a cake tester, it should feel firm on the surface but should feel soft or somewhat raw at the center. Step 6: Once it’s done, you can remove the cake from the oven and place it on a cooling rack for it to cool before removing it from the tin. Lastly, decorate it by putting the chocolate covered coffee beans at the center of the cake and arrange the golden stars in a circular manner on the cake’s surface. Sprinkle the golden mini-balls on the cake’s surface and then put the gold hologram glitter on top of the cake. 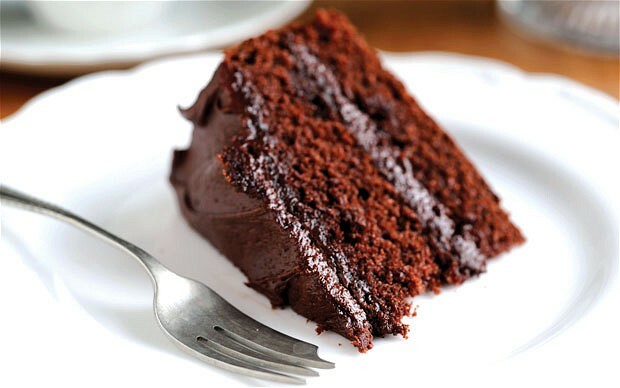 Having a chocolate fruit cake as oppose to a regular chocolate cake can be a good alternative if you and your partner are looking for some new chocolate cake recipes. Baking can be challenging especially if it is your first time. 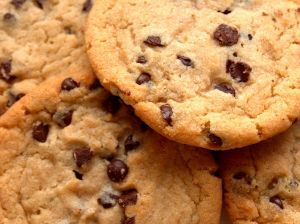 If you find yourself having a bit of trouble from keeping the chocolate chips from sinking to the bottom of the batter then the following advice may help you keep it from happening. Step 1: Coat the chocolate chips with a tablespoon of flour. This will keep them from sinking rapidly down the batter. Then toss the chocolate chips. Step 2: Use small chips than bigger ones because smaller chips are lighter and would not easily sink. Step 3: After you are done mixing the batter well, you can now fold the chocolate chips. This will keep them afloat in the batter. Step 4: Decrease the liquid in your recipe just by a quarter cup so that the batter will be thicker. Remember, the more liquid it contains, the less likely it will become thick and at this point in time, you need to consider thickening your batter. This will help in keeping the chocolate chips afloat. Step 5: Another way to make sure that the flour sticks better to the chocolate chips is by spraying some cooking spray on the chocolate chips. Just make sure that you do not overdo it. It may take a while before you are able to execute this perfectly but with ample practice and dedication, you will eventually get used to this. Chinese Dumpling: This is perhaps one of the most common recipes that a lot of people have learned to love. Chinese consider these foods to be lucky because they appear similar to ancient Chinese money. 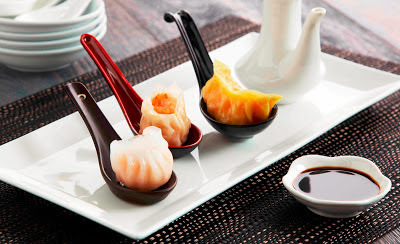 Chinese dumplings are also known jiaozi and are often cooked during the Chinese New Year and other special occasions. These dumplings usually have pork or beef as their main ingredient. Spring Rolls: Spring rolls are rolls filled with vegetable harvested during spring, hence the name. These days, the fillings often include barbecued pork, Chinese dried mushrooms or shiitake mushrooms in Japan, and some shredded carrots. They also have red bell pepper and mung bean sprouts. Spring rolls can be cooked and or served as it is accompanied with soy sauce or rice vinegar dipping sauce. Shu Mai / Shao Mai : Another kind of dumpling which is perhaps one of the most common forms of dumplings being served in restaurants and other fastfood establishments. They are often filled with either meat, fish, shrimp and vegetables. Ingredients include a green onion, oyster sauce, peeled or deveined shrimp, Chinese black mushroom and many more. Pearl Balls: These are also referred to as meat balls or pork balls appear to be rolled steamed rice. The rice used to roll these meals are glutinous and tend to appear shiny. Take note that though it only takes an hour or less to prepare and cook pearl balls, you have make sure that the glutinous rice is soaked for lots of hours. These are a couple of the more known dim sum recipes and either one will definitely be appreciated by anyone. For more recipes, you may visit Chan's Yum Cha! From weddings to birthdays, cake is the centrepiece of many memorable celebrations. However, after tasting many renditions, the traditional round or square flour cake with layers of buttercream frosting can become passe. For your next celebration, consider one of these non-traditional cake ideas to thrill your guests with a delicious, and different, dessert. The croquembouche is a visually exciting cake that is packed with sweet flavours. Originating in France, it is a cone-shaped tower of bite-sized, creme-filled pastries, which are assembled and glued together using caramel. The entire tower is then drizzled with spun sugar. For creative hosts, the creme can be replaced with jam or various flavoured fillings, and the tower can be drizzled with chocolate or caramel rather than spun sugar. Ice cream cakes have enjoyed immense popularity in recent years, with many specialised bake shops providing a multitude of flavours and fillings. Ice cream cakes can be served individually or in larger forms. Ice cream cake displays offer the host increased flexibility, as it is easy to provide a variety of complementary flavours for guests to choose from, as well as colour patterns that match the party's theme or decor. Make sure you keep it cool though! Pie cakes consist of layers of fruit or other pie filling, which are alternated with layers of crust-like, buttery cake. They are often topped with crumb topping or streusel, rather than frosting. Apple pie cakes are the most popular flavour, but any of a number of pie fillings can be used. Pie cakes are ideal for events with a rustic or home-style theme, as well as outdoor weddings decorated in the shabby-chic style. Sculpted cakes have gained popularity recently due to televised bakery reality shows, in which bakers create fantastical shapes out of pastry for weddings and special events. When you cooperate with a skilled baker, the cake is limited only by your imagination. From flowers to animals to figures from popular culture, your cake can become a pastry, fondant, and buttercream work of art. Sculpted cakes tend to be expensive, due to the time and skill required to produce them, but if you really want to wow your guests, there's no better kind of cake to do it. Another French pastry, the dacquoise is less widely known than the croquembouche. It consists of layers of hazelnut and almond meringue, which are alternated with layers of buttercream or whipped cream. Flavoured mousse may also be substituted in some of the layers, and the pastry may be topped with a fruit-flavored ganache. The dacquoise is traditionally served chilled, with fruit. For summer events, it is a cool, creamy cake alternative that is sure to please. For your next event, skip the layer cake and frosting and opt for one of these delicious options. Your guests will thank you for a memorable dessert that tasted wonderful and was unlike anything they'd been served at their other social engagements.